Nowadays, the world is turning toward herbal medicine for health improvement. This system of medicine is not new; it has roots in the beginning of human civilization, perhaps as early as the time of the Neanderthals. Evidence of early herbal remediation dates back over 4,000 years ago; examples include the Chinese Empire (2800 BCE), Babylon (1770 BCE), and Ancient Egypt (1550 BCE). Islamic and Indian physicians also wrote many works prior to 1100 AD and the seals from the Harappan site in Pakistan (2000 BC) also indicate the use of plants. The first step in quality control of botanical preparations is ensuring the correct identification of the plant intended for use. While there are several methods for identification, the most direct and least expensive is macroscopic identification. The foliar epidermis is one of the most striking taxonomic characteristics from the biosystematic point of view, and the taxonomic studies of a number of families are made on the basis of the leaf epidermis. The role of anatomical data in traditional taxonomy has been long recognized since the variations within the species, genera or a family is usually reflected in anatomical features as well. 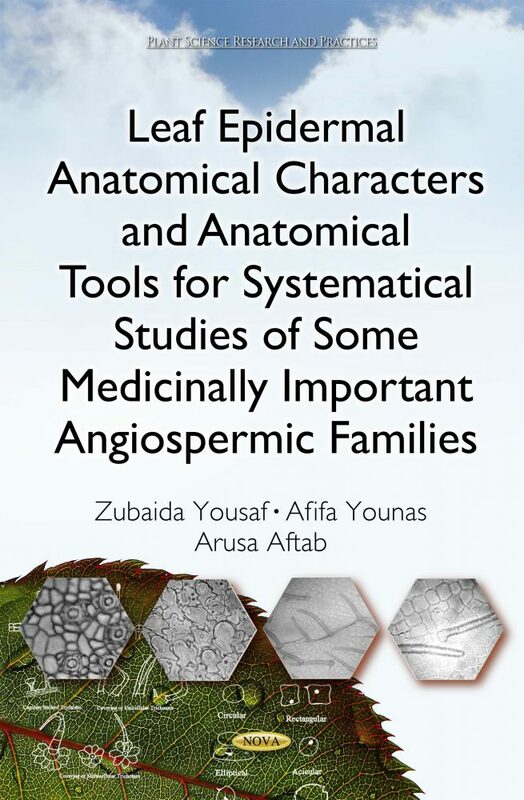 Leaf epidermal anatomical features such as stomata, trichomes and other characteristics are useful identification tools. Such characteristics in plants show great diversity and could be very effective for the resolution of existing taxonomic problems of medicinal plant species.